The In-SightÂ® 7000 series is an award winning vision system from Cognex (http://www.cognex.com/In-Sight-7000-smart-vision-system.aspx). These integrated smart cameras are a great tool for vision applications. The integrated lighting makes it possible to increase contrast on the work-piece by selecting the appropriate colour lighting, as well as altering the intensity of the light to make parts or work-pieces standout. This functionality makes the In-Sight 7000 Series a top of the line camera, which provides a solution for many basic vision applications. However, because the camera only offers direct lighting, we believe that adding an independent lighting system will further improve the flexibility and range of this camera, increasing the variety and complexity of applications with which it can be used. For example, the use of direct lighting on highly polished parts or work-pieces is not recommended, as too much light is returned to the lens and the image shows complete saturation, altering the lighting intensity will not resolve this issue adequately. Instead, the use of a Dome or a Low Angle light is the solution endorsed by experts. Domes or Low Angles provide a diffuse, indirect lighting that is not reflected back at the camera and creates a crisp, clear image. Lighting accessories, like Domes and Low Angles, have only recently become affordable, and are still little known outside the vision systems field. Most people who purchase a smart camera, like the Cognex In-Sight 7000, are unaware that the integrated lighting is merely a starting point. They miss out on opportunities to improve the efficiency and effectiveness of their smart camera. In 90% of the cases where a smart camera fails deliver the expected results, simple lighting improvements could have fixed the issue. 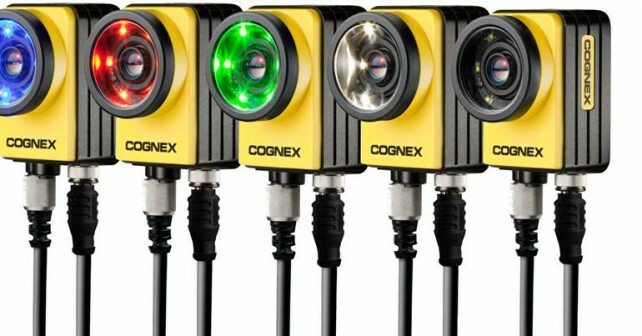 Thatâ€™s why the camera manufacturers, like Cognex, fit the cameras with an additional connector, specifically intended for adding independent lighting systems. To learn more about Domes and Low Angle lights, visit the Lightune website.